Rail Asia Solutions (RAS) is the largest railway exhibition in Asia Pacific which is attended by companies working in the field of railways around the world. 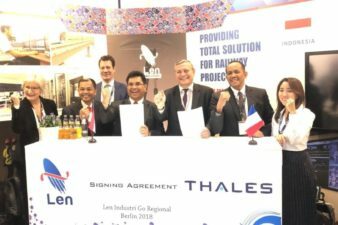 PT Len Railway Systems (LRS) has participated that international exhibition in order to increase its presence in international market, especially in Asia Pacific. , Malaysia for three days from May 7th until May 9th 2014. 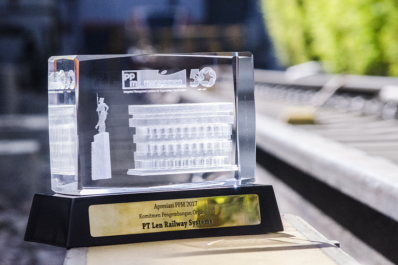 The event held from December 7 until May 9 2014 was followed by at least 60 international exhibitors and was attended by 10 railway operator companies in Asia. Just like the previous year, RAS 2014 event was held in Kuala Lumpur Convention Centre (KLCC), Kuala Lumpur, Malaysia. In this opportunity, PT. 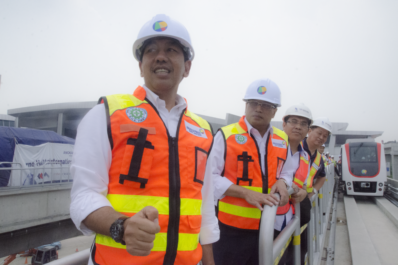 LRS had visits from some outside companies in order to establish cooperation in the field of the development of railway system as well as human resources. By holding this exhibition , PT . 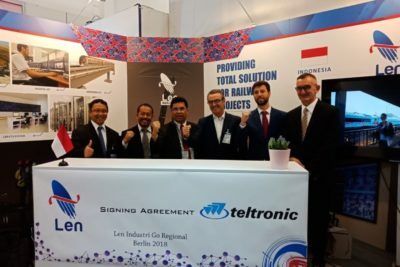 Len Railway Systems is expected to be much better known in international community as a professional company in building a railway system and human resources around the world, especially Indonesia.